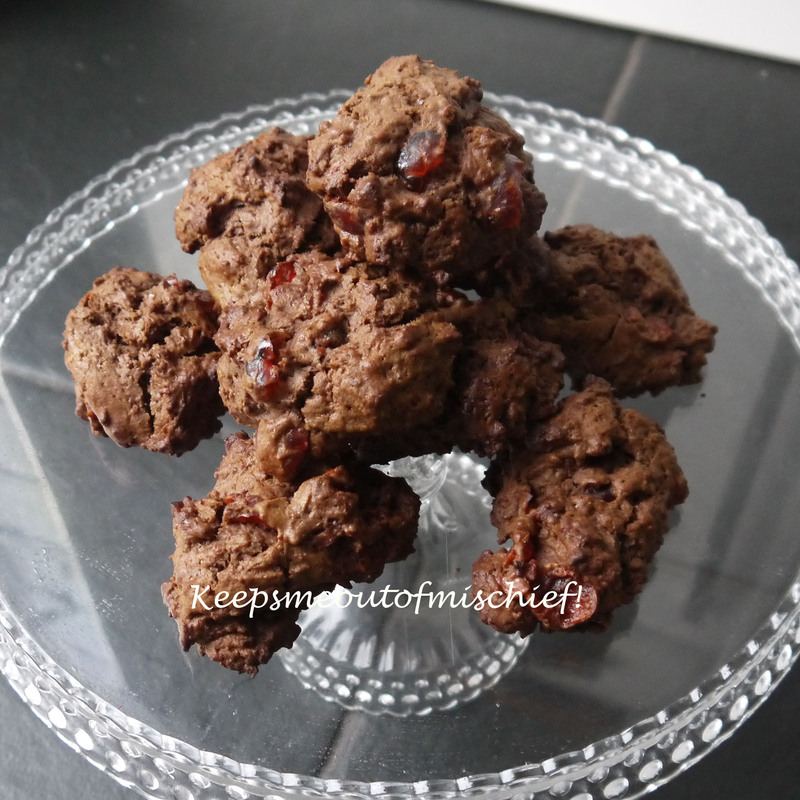 Chocolate and Cherry Rock Cakes | Keeps Me Out Of Mischief! I haven’t made rock cakes for years; I think there was an incident with a tooth somewhere along the line! These aren’t too solid, so no broken teeth here! 200g self raising flour, 25g cocoa powder, 125g butter, 40g granulated sugar, 100g chopped glace cherries, 1 medium egg, 10ml milk. Preheat the oven to 200°C/ Gas Mark 6 and line a baking tray with greaseproof paper. Cream the butter and sugar together. Add the egg and mix to a smooth batter. Add the flour and cocoa powder and get mixing – it’s a very stiff batter. Add the milk a little at a time so that you can mix it – you don’t want a sloppy mixture though. Place the mixture in 12 small blobs on the baking trays, it doesn’t spread too much as you cook it. Bake for 18 minutes, cool on the baking trays.